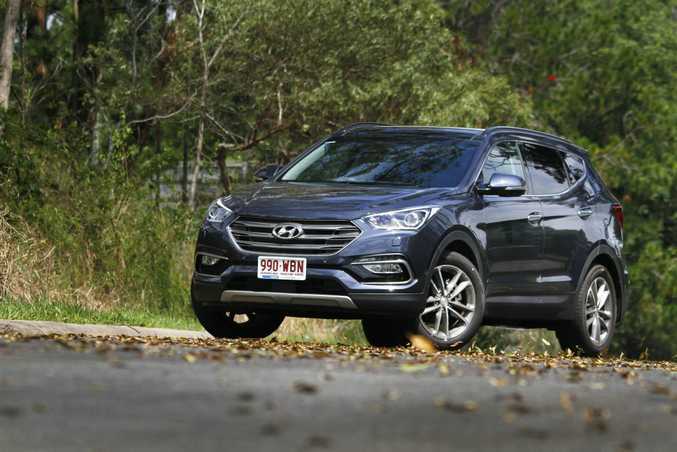 The 2016 Hyundai Santa Fe Series II in top-spec Highlander guise is a value tempter in the seven-seater large SUV segment. 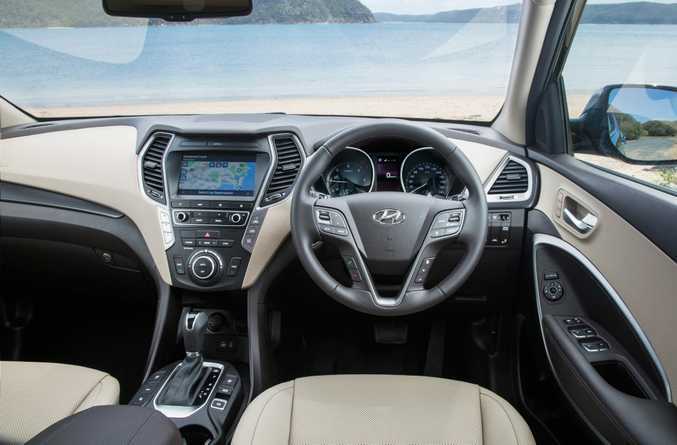 HYUNDAI'S new Santa Fe II is a value tempter in the seven-seater large SUV segment, so 30-something parents Iain Curry and Vani Naidoo were each handed keys to the best-selling top spec Highlander version to take home for the family test. 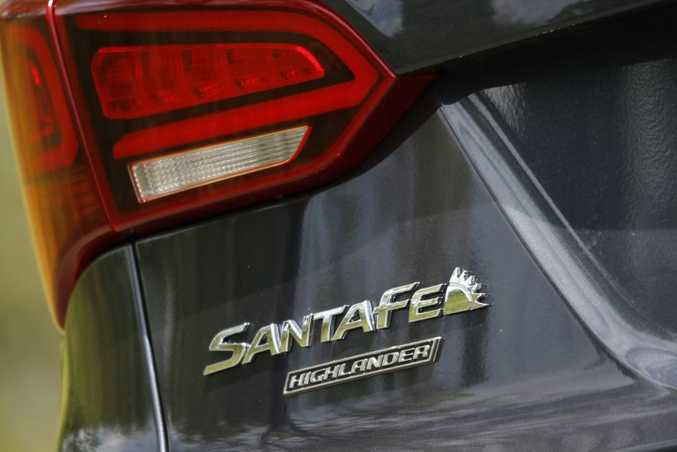 Iain: I only had the Santa Fe Highlander for a day, but it's quite the package isn't it? It took me a good 15 minutes to explore all the tech, safety and entertainment additions; it really is a fully loaded large SUV. This Highlander will be over $60,000 drive away though, and it's still hard for some people (okay, me) to get their head around that much for a Hyundai. But, if I lose my badge snobbery, I can see that its spec is up there with certain premium large SUVs which cost around the $100k mark. And people shopping for these seven seaters like their luxury. Nearly 50% of Santa Fe sales are these top-spec Highlanders, and I can understand why. It looks good, is very family friendly, the two seats in the third row are generous enough and all rows have air vents, while that diesel motor has some pleasing pull while giving me pretty decent fuel economy. Vani: Agreed, which makes it a pity that some people (okay, not just you) still have that cheap and cheerful Hyundai stereotype. The Korean maker has upped its game in the last decade and progress both under the bonnet and in the style and functionality department is hard to miss. The Santa Fe is a great example of this progress and despite the price tag the Highlander feels good value for money. We took our test car camping and the boot, with the third row folded flat, offered great storage - although the curved lines do mean you have to pack with care if you want to fit more in. The kids loved the higher seating position and the individual roller blinds, while and the deep door bins are really practical. Hyundai has quietened the diesel, that engine purring along nicely even when pushed. Acceleration was excellent, it was competent around bends and it just felt a solid proposition. Over dirt and gravel it was sure-footed, making light work of the bumps and ruts and the brakes were good too - a boon when you have to give way to native animals. 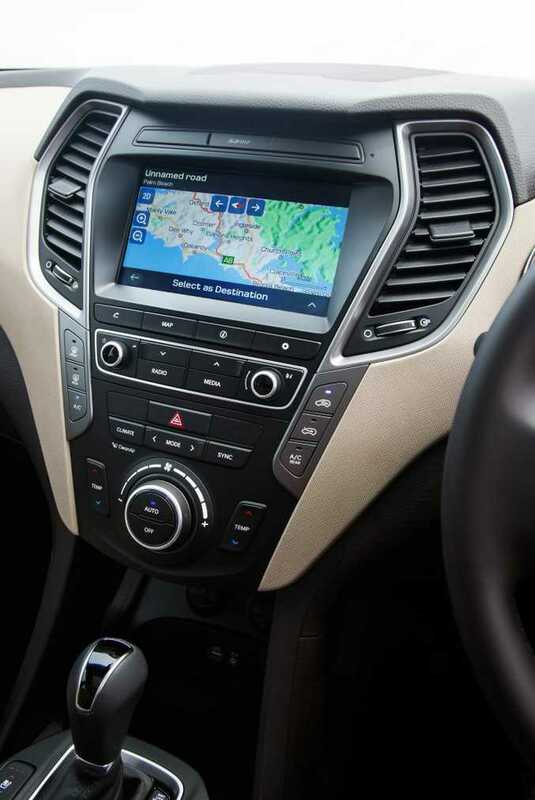 Iain: My test route was town and highway only (mirroring how the vast majority of Santa Fe owners will use their SUVs), and it was typical of most current Hyundais, simply very easy to drive. It's a seven-seater but didn't feel like a huge car in the way, say, an Audi Q7, VW Touareg or Toyota Prado does. Engine and transmission were high points; 147kW from 3800rpm and, more importantly, 440Nm of torque from 1750rpm gave great shove, especially in more responsive Sport mode. The auto gearbox really impressed, shifting seamlessly, while the suspension - locally tuned by the Aussie Hyundai team - was a nice balance of bump absorbing and reasonable balance through the turns for an SUV biggie. I returned 7.9-litres/100km with air conditioning constantly blasting - I was happy with that. Vani: We lingered around 8.4l/100km; great given the size of the car. 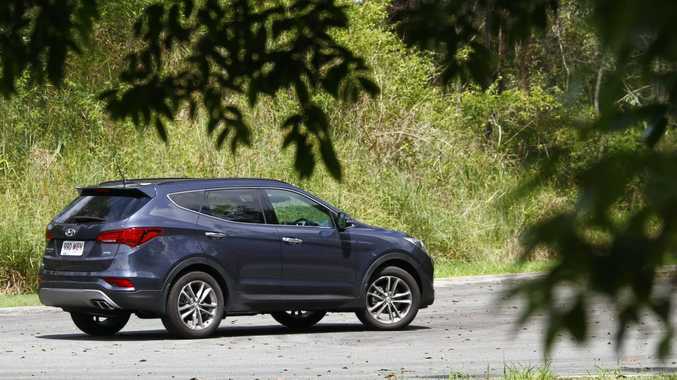 As a family vehicle, the Santa Fe is hard to fault. In addition to a heap of modern conveniences, including an easy-to-use infotainment system with 8.0-inch colour touchscreen, the Highlander boasts emergency autonomous braking, active cruise, blind-spot monitor, lane assist and rear-cross traffic alert. As a parent safety features gladden the heart, and I loved the rear-cross traffic alert which proved useful in the supermarket car park. Were there any features that brightened your day? Iain: Cabin leather, soft-touch plastics, air-conditioned seats, auto tailgate (albeit a slow one) and that panoramic roof worked for me. 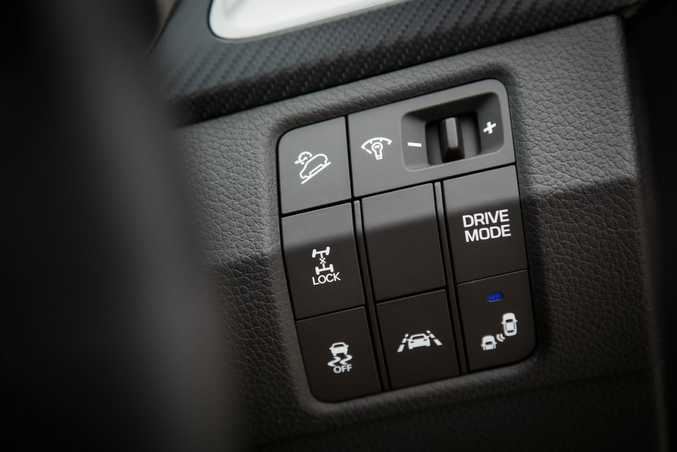 The Hyundai's dash switchgear and touchpoints aren't quite there when compared to the premium rivals - they just don't have the sense of high class quality you'll find in, say, the seven-seat BMW X5 or Volvo XC90. Price reflects this though. I know you go all excited for active safety and crash avoidance tech - as will many seven-seat shoppers - but I could have done without the constant nannying warnings: I'll admit to turning many of the features off after a while. I just may be intolerant though. As for the smart parking assist where the car parks itself, it's clever, yes, but I still say if you can't park a car yourself - even a seven-seater - you shouldn't have a license. For the money I'd rather Hyundai fitted Apple CarPlay and Android Auto to the Santa Fe - compatibility is only there for the Active model right now - or maybe power folding third row of seats: I'm a big fan of them. Oh, did your Santa Fe play a relaxing couple of bars of music when you turned the engine on or off? It was peace-bringing, but I can't decide if it was cool or naff? Vani: I know! What was that? A bit creepy, but hopefully you can turn it off or swap it for something from your own collection. Bon Jovi perhaps? I agree about the power folding third row - Kia's Sorento has it so it wouldn't be hard to do - it's a feature that would be nice to have at this price point. As for style it's not as big and bulky as some large SUVs, the new nose and bumper design add to the appeal, and the 19-inch wheels look superb. 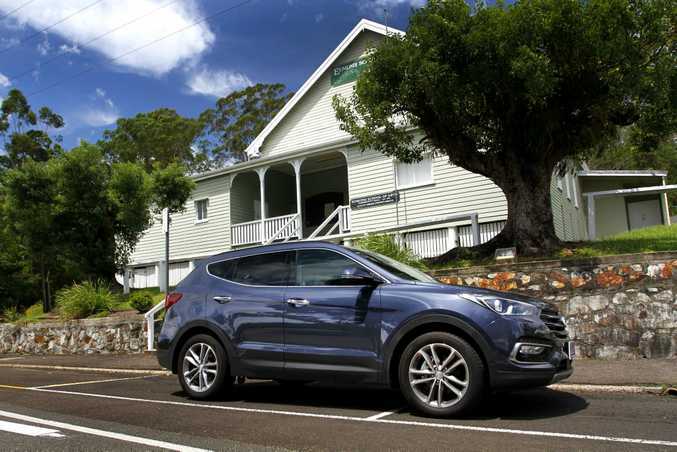 Overall the Santa Fe presents as a good-looking, feature-filled and yes, safe family package. Hyundai's after-sales care doesn't hurt either and long warranty sweetens the deal. 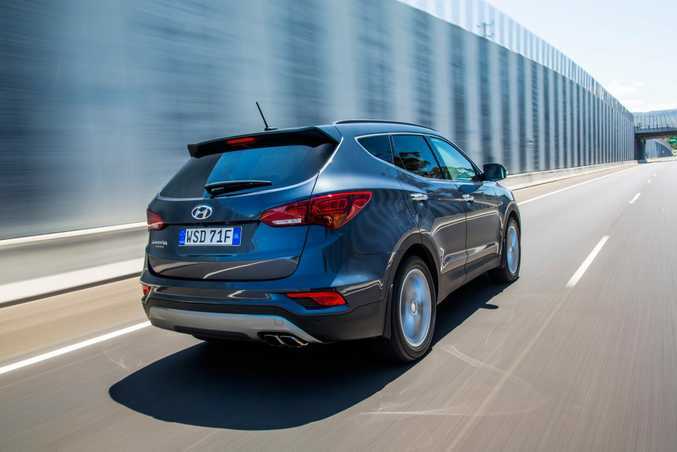 Iain: Unlimited kilometre five-year warranty makes a lot of sense for a family, much like most of the Santa Fe. We've only touched on the huge amount of standard kit on the top-spec Highlander, highlighting how loaded it is. As an everyday car for a larger family, it is just a bloody good choice. With it and the equally superb Kia Sorento out there, they make the German seven-seat SUVs look very pricey indeed. Vani: The Santa Fe Highlander. There can be only one! Cheesy, I know, but it had to be said. What we liked: Huge amount of included tech, goodies and safety; ease to drive; diesel engine's torque; value; warranty. What we'd like to see: Making those safety systems less distractingly nannying; more premium switchgear; Apple CarPlay and Android Auto; power third row seats. Warranty and servicing: Five-year unlimited kilometre warranty with a lifetime service plan. Model: Hyundai Santa Fe Highlander Series II. Details: Five-door seven-seat large 4x4 SUV. Engine: 2.2-litre four-cylinder turbo-diesel generating maximum power of 147kW @ 3800rpm and peak torque of 440Nm @ 1750rpm. 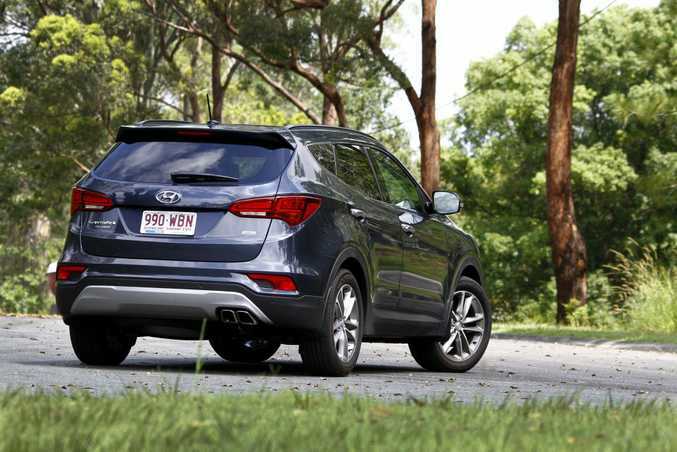 Bottom line: $55,990 (before on-roads) for Highlander as tested from Noosa Hyundai, Noosaville, www.noosahyundai.com.au, 5474 4778. Santa Fe range starts at $38,490 (before on-roads) for petrol manual Active model.